Jason Bruges Studio has created this interesting installation called Applause. 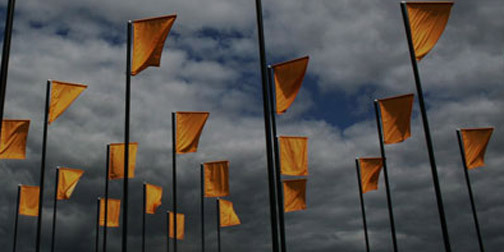 An array of computer controlled flags respond to motion. The flags dynamically follow polo players or race cars, turning back and forth to follow the action.